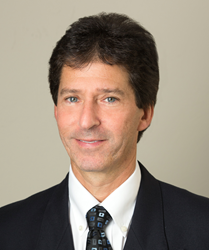 Mr. Shapiro has practiced personal injury law for over 20 years and is a shareholder with Shapiro & Appleton, P.C. I am deeply honored to receive this prestigious accolade. It is truly humbling to be recognized by your peers in such a manner. Shapiro & Appleton announced today that firm shareholder, plaintiff’s railroad injury lawyer Richard N. Shapiro was named Railroad Law “Lawyer of the Year” by U.S. News & World Report in its annual Best Lawyers publicatio n (2019; Norfolk, VA area). This is one of the most prestigious accolades a practicing attorney can receive during their career. According to Best Lawyers, the selection process for the “Lawyer of the Year” award is quite competitive and highly selective. Only a single lawyer in each practice area and designated metropolitan area is honored with the “Lawyer of the Year” accolade. Lawyers honored as “Lawyer of the Year” are selected based on especially-impressive voting averages received during the peer-review assessments that are conducted by Best Lawyers.® Receiving this designation reflects a high level of respect a lawyer has earned among their peers in the same communities and practice areas for their skill, ability, professionalism, and integrity. Mr. Shapiro went on to make a name for himself as a skilled litigator in the field of railroad litigation. He has handled numerous claims under the Federal Employers Liability Act, many of which have gone to trial throughout the eastern United States including several multi-million dollar jury verdicts on behalf of his clients. Mr. Shapiro's passion for railroad law and litigation is a contributing factor in his successful election to serve as chair of the Railroad Law Section of the American Association for Justice (AAJ) for two terms. In addition, he has been an invited lecturer at personal and railroad injury law seminars in Virginia as well as before national trial lawyer organizations. In addition to being named “Lawyer of the Year” by Best Lawyers, Mr. Shapiro is recognized as a Virginia “Super Lawyer” (since 2010) and possesses an “AV Preeminent” Rating by Martindale-Hubbell, one of the most respected legal rating services in the country. Shapiro & Appleton is a personal injury law firm in Virginia Beach comprised of dedicated attorneys who focus exclusively on representing those injured due to the carelessness and fault of others. The firm’s web site describes its services and gives key information on rail, truck and car accidents, faulty product injuries, medical negligence, brain/head injuries and other topics. Shapiro & Appleton has represented thousands of accident victims throughout the eastern region of the United States since the firm was founded in 1985. The firm's main office is located in Virginia Beach, but they also have numerous satellite locations where clients can be meet with their attorney. Those satellite locations are based in Norfolk, Portsmouth, and Suffolk, Virginia. The firm also has a satellite location in the Outer Banks area of Kitty Hawk, North Carolina.